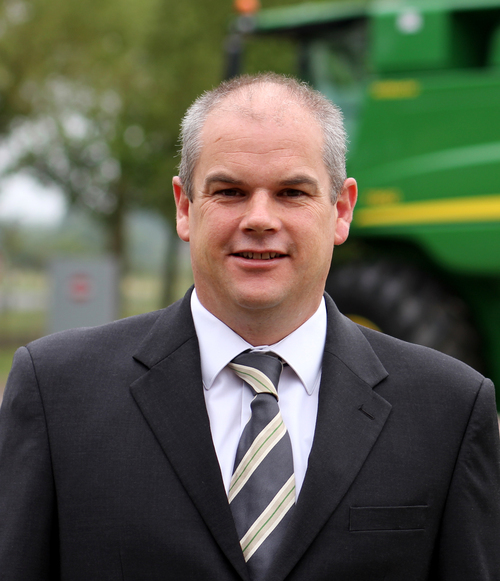 John Deere Limited has appointed Bob Holt as branch customer support manager for the UK and Ireland, replacing Stuart Minter, who has retired after more than 36 years with the company. Bob has a Diploma in Agricultural Engineering from Caythorpe College and a BSc in Agricultural Technology and Management from Cranfield Institute of Technology. He began his career with John Deere Limited as a branch management trainee in April 1994 and became a demonstrator in July that year, followed by assignments as a training instructor and area manager product support (AMPS). In February 2001 Bob accepted a field service position at the John Deere harvesting equipment factory in Ottumwa, Iowa, USA and in June 2003 he moved to Zweibrücken in Germany to become a senior service engineer. After returning to the UK in January 2005, he held the positions of harvesting product support specialist, manager technical services/customer support and division customer support manager. Stuart Minter joined John Deere Limited in 1979 as a service trainee and technical instructor at the UK training centre. He was subsequently area service manager and then territory manager for southern England before becoming division service manager for the UK and Ireland in 1986 and then customer support manager in 2010. Stuart was responsible for developing John Deere’s national dealer service standards, and was closely involved with the industry-wide ‘Look Behind You’ campaign to promote safe tractor and trailer braking. He was also a chairman of the AEA service managers committee.